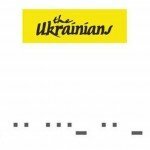 Genre/Influences: EBM, minimal-electro, electro-experimental, electro-punk. 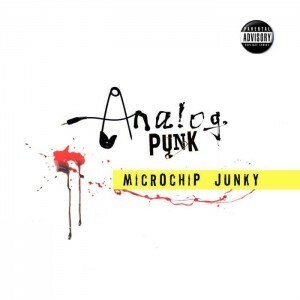 Background/Info: John Peacey is Microchip Junky, an English born musician who set up this project in 2012. He released several digital songs while “Analog Punk” is the debut full length released a few months ago now. Most of the previously digital released songs have been featured on this work. Content: From start on you can hear a fascination for good-old analogue sounds. The retro touch covers different influences, which move from EBM to a kind of electro-punk to pure minimalism, but mainly electro experimentation. John Peacey likes to manipulate sounds, this way creating typical analog like sweeps and unique sound sculptures. Most of the songs remain instrumentals, but there’re a few vocal parts. The vocals and samples are pretty cold and a bit sterile. Some of the parts have been sung by a guest singer. The last tracks are the most interesting ones. “Analog Punk” are more sophisticated although minimal electronic fields reveal brilliant sound treatments and a danceable cadence. A few other cuts remind me of Suicide in a softer format. + + + : If you’re into analog sounds and noises this album is absolutely essential. There’s a great vintage touch in it. I also like the punkish artwork of the cover. – – – : The songs aren’t always that cohesive because there are many influences running through the album. The experimental passages are not the most convincing ones. Conclusion: Microship Junky reminds me of the early 80s experiments in electronic music. This is a passionate ode to the pioneers, but also a band to keep an eye on. Best songs: Liquor Skin”, “Bunker Musik”, “Surface Noise”, “Analog Punk”, “Controlled”.